This is a Chipotle Style Event. 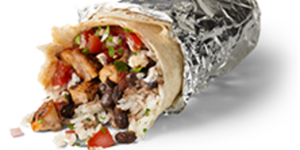 You will have the choices of Burritos, Burrito Bowl, Tacos, or Salad. This event will be held in the historic Adams Morgan neighborhood, with plenty of seating get food drinks and great company. Tortilla, choice of rice, beans, meat, salsa and cheese or sour cream. Add peppers and onions instead of beans for a fajita Burrito. Your choice of three crispy corn or soft flour tortillas with meat, salsa, cheese and/or sour cream and romaine lettuce. Chopped Romaine Lettuce with choice of beans, meat, salsa and cheese with or without Champagne Vinaigrette.